Ok it’s official. 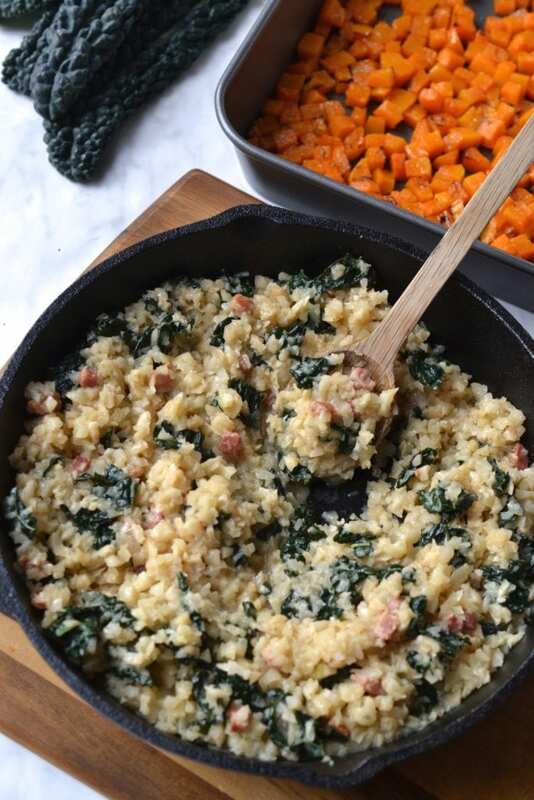 I have figured out how to make the absolute best grain free risotto. I know in the past I said that this Lemon Risotto was good, and so was this mushroom risotto, but this recipe is truly next level deliciousness. It turns out that the grain free risotto recipes I made in the past were all missing a secret ingredient….Celeriac (aka Celery root). 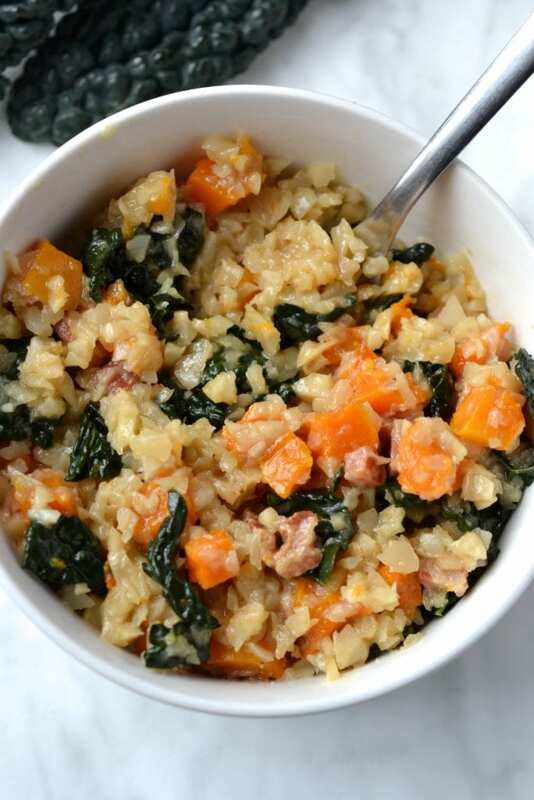 Who knew that this big bulbous ugly vegetable that I have been ignoring for years in the grocery store makes the absolute best replacement for arborio rice. 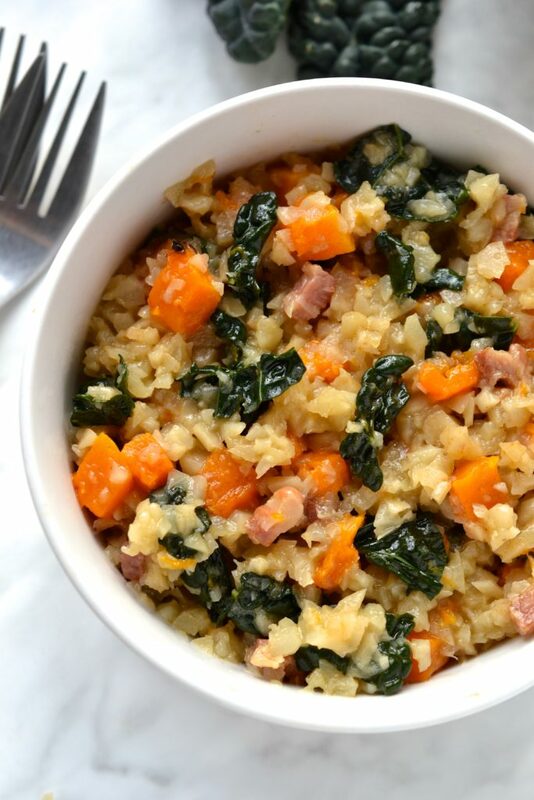 I have served this dish to quite a few healthy eating skeptics and they were all shocked at just how much it really does taste like risotto. When cooked correctly celeriac rice becomes deliciously creamy, but holds its shape without turning into mush, just like traditional rice. 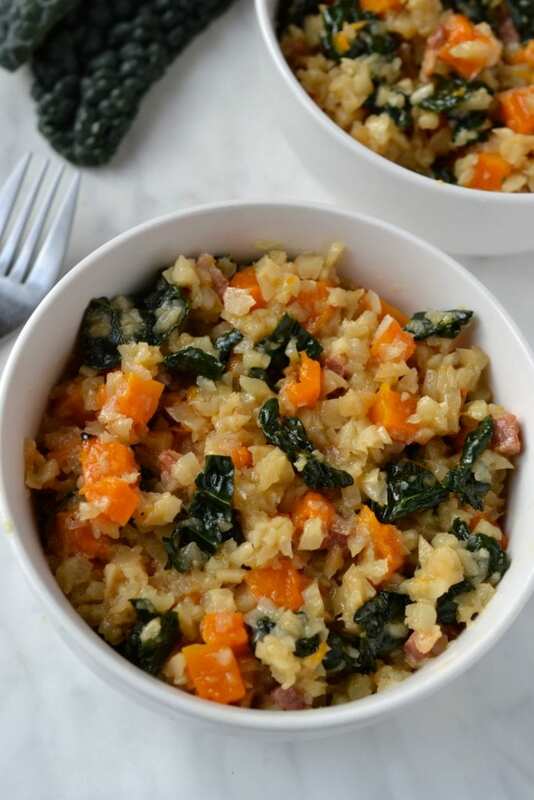 For anyone starting a January diet and dreading endless salads and soups, you have to add this risotto to your list. This is the perfect example of a healthy dish, that doesn’t taste healthy. 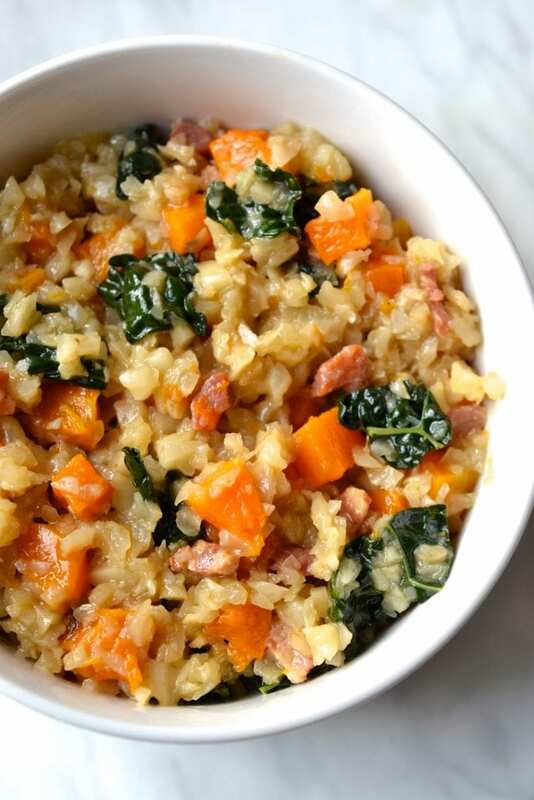 I made this risotto with shredded kale, oven roasted butternut squash and bits of crunchy bacon. If you are vegan or vegetarian then you can easily skip the pancetta and use vegetable stock in place of chicken. The leftovers are also DELICIOUS and last for about 3 days in the fridge. Place the cubed butternut squash on a baking sheet and drizzle with 1 tbsp olive oil and salt. Bake in the oven for 20-25 minutes until the butternut squash is tender and golden in colour. 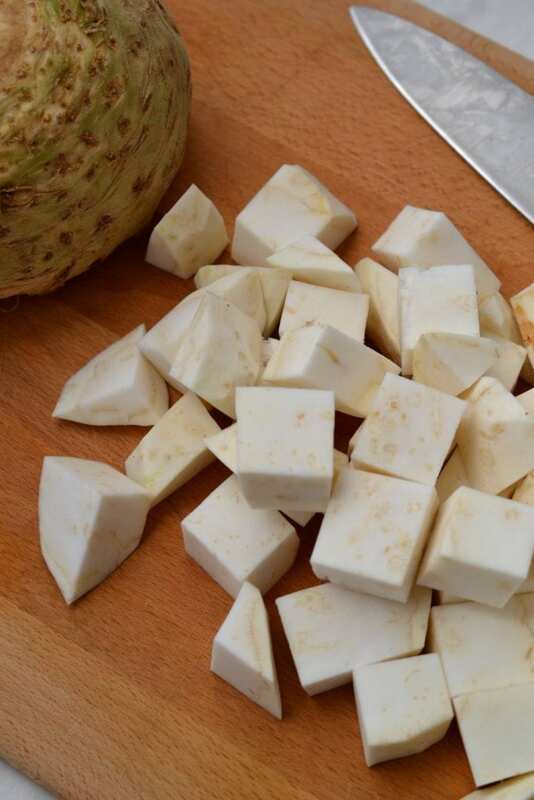 While the butternut squash is baking, peel the celeriac and cut it into chunks. 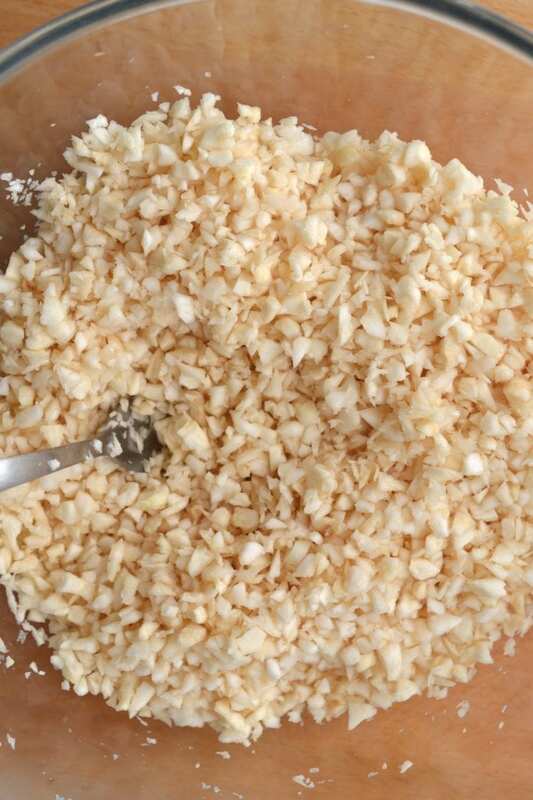 Place the cut up celeriac into a food processor and pulse. The key is not to over blend, you want it to break down into small pieces about the size of rice. In a large pot on medium heat add 1 tbsp olive oil and cook the pancetta until its crisp. Once cooked, remove it from the pot and set aside. Add the garlic and onion to the pot and cook for approximately 5 minutes until the onion has softened. Add in the kale, riced celeriac, broth and almond milk and let cook for approximately 10 minutes until the liquid has evaporated and the celeriac is tender. 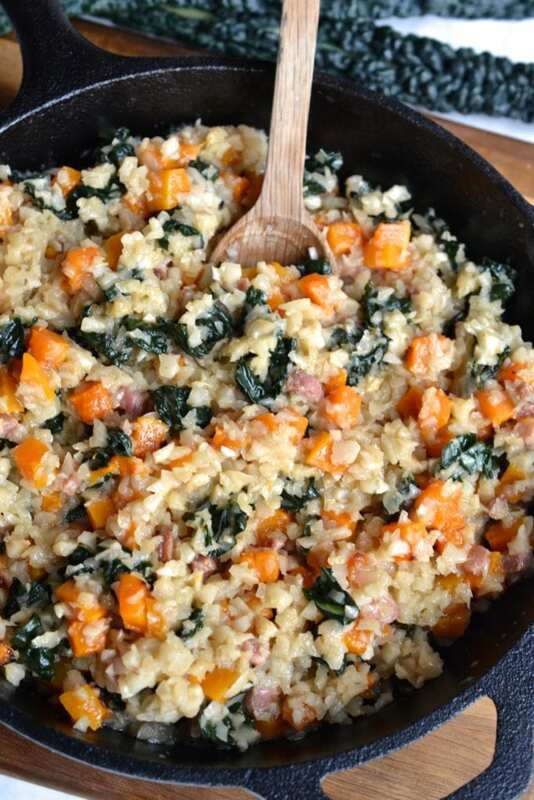 Add in the pancetta and butternut squash 1-2 minutes before serving so that they become warm. Enjoy! Great recipe! First time eating celery root and now I’m buying on the regular for this recipe! 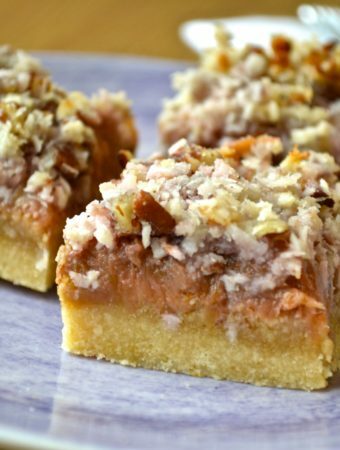 Yet another incredible recipe from you, Carmen ! I didn’t have butternut squash on add so I added mushrooms instead and it made a perfect mushroom risotto!! Thanks !!!! Thank you!! I am so happy to hear that it was a hit!! What would you suggest in place of unsweetened almond milk – regular milk or more broth? I would use regular milk or any kind of milk substitute like coconut milk etc to give it a creamy texture. 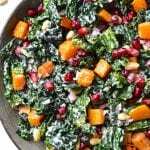 I just made it with spinach instead of kale and was great! 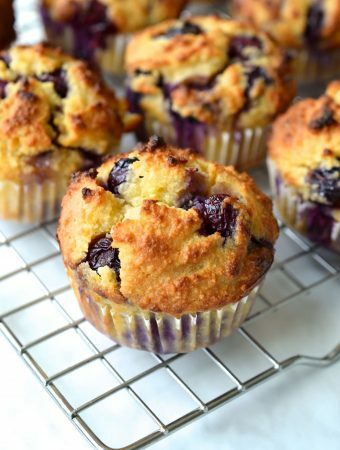 Wow this recipe was so delicious and so easy too! Thank you for introducing me to celery root! 🙂 Can’t wait to try more of you recipes! 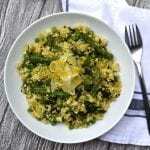 I’m so happy you liked the risotto and have discovered celery root! 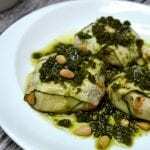 Its such an awesome versatile veggie. 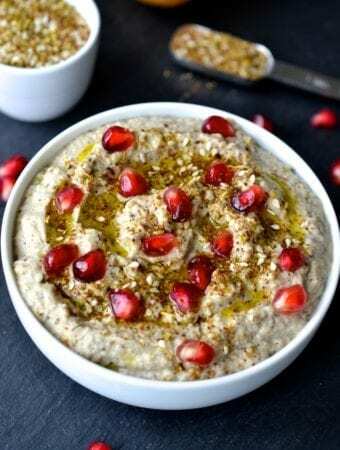 What a delicious and creative recipe! You are a genius in the kitchen! Haha thank you Lauren! What a compliment! 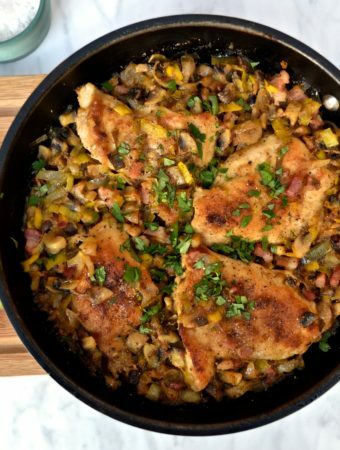 I made this for dinner for my family and it was a HUGE hit! 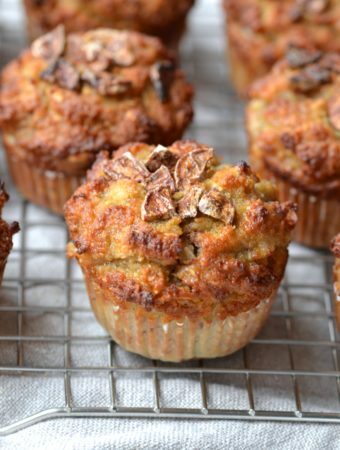 No one could believe that it was grain free, its so creamy and delicious! Will definitely be making this again soon. 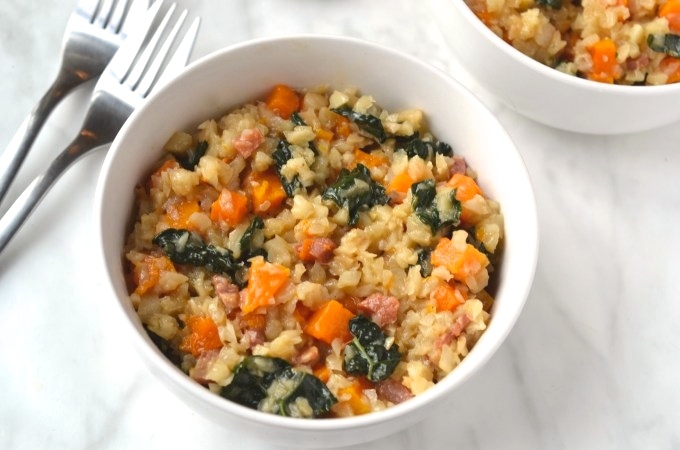 One more question, what would happen if we cooked this just like risotto where you spoon in the broth so that it infuses the flavor while absorbing? Say I wanted to make this with a mushroom flavor on the celeriac do you think that method would work or just cook it like rice….? Great question! 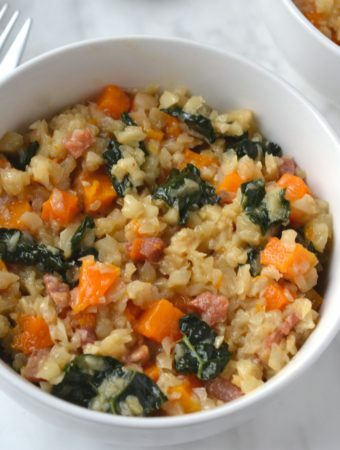 With regard to traditional arborio rice the stock is added gradually to allow the starch to slowly release and create the creamy consistency. 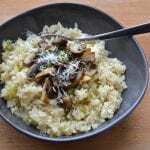 You could definitely infuse the celeriac risotto with any flavour you wanted (mushroom would be awesome) but because the almond milk is creating the creaminess rather then the grain starch I don’t think there is a need to cook it like risotto. Sorry for the long winded answer, I hope that made sense! Apologies for leaving out that information! 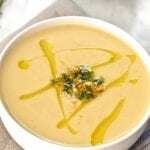 I have just updated the recipe, it should be 4 cups of celeriac rice for the 2 cups of liquid. I never would’ve thought celery root could look so delicious! I’ve just started a low carb diet so this recipe will be perfect for lunches next week! The only problem is I don’t think I’ve ever seen celery root in the grocery store! Hmmm, I will have to keep my eyes peeled for it! Thanks so much for the beautiful photography and very interesting recipe! Thank you so much for the kind comment Jen! Now that I have started cooking with celeriac I’m amazed how easy it is to find, it seems to be one of those vegetables you can easily overlook unless you know what you are looking for. It normally is sold near the potatoes, squash or cauliflower and its in season now until april so hopefully you will be able to find some! 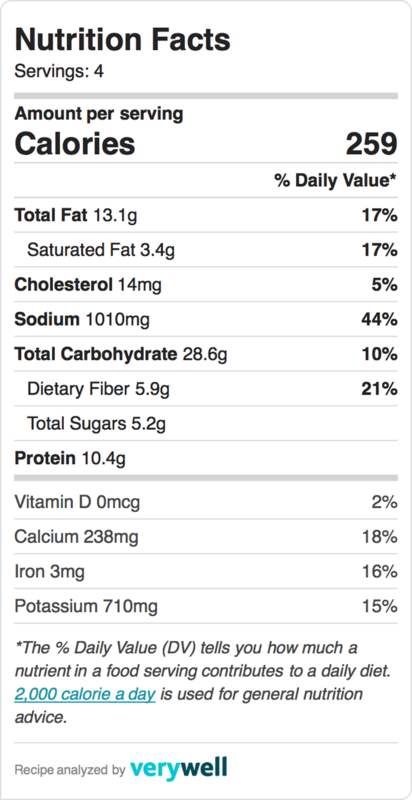 Why not post the nutrition value/content of your recipes. Would be much happier to try them if I could plan their nutrient value into my week. 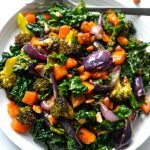 In the past I have tried to avoid posting nutrition values and instead just focused on using healthy whole ingredients, but I have had so many requests for nutritional info that I will start including it in all of my recipes. Thanks for the feedback Shirley! This sounds delicious. Do you have any idea on the carb count? I have just included a table with the nutrition information below!